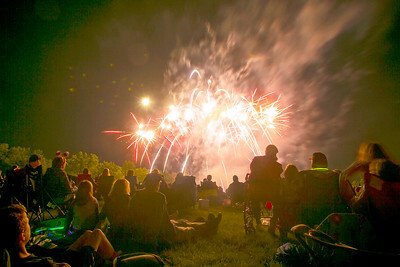 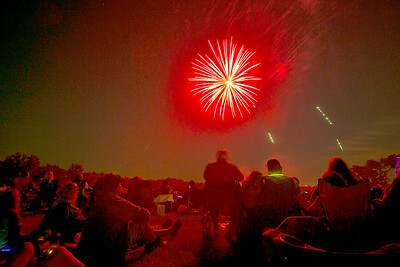 Spectators watch the Woodstock fireworks show at Emricson Park Tuesday, July 4, 2017. 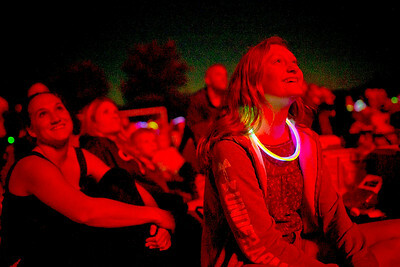 Breanne Walker (right), 12, and Melissa Maxcy, both of Woodstock, are illuminated red by strontium carbonate fireworks during the Woodstock fireworks show at Emricson Park Tuesday, July 4, 2017. 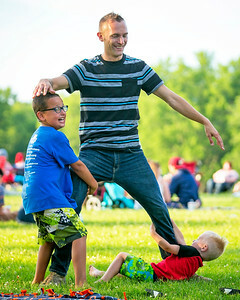 Bryan Henning is held down by sons Noah Henning, 8, and Ryder Henning, 3, all of Woodstock, while playing catch with a football before the Woodstock fireworks show at Emricson Park Tuesday, July 4, 2017. 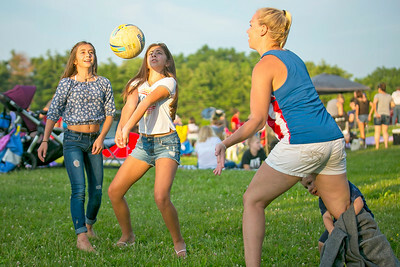 Jen Nichols (right), of Woodstock, and Kayla Meade (left), 13, watches as Sarah Meade, 12, both of Wonder Lake, hits a volleyball before the Woodstock fireworks show at Emricson Park Tuesday, July 4, 2017. 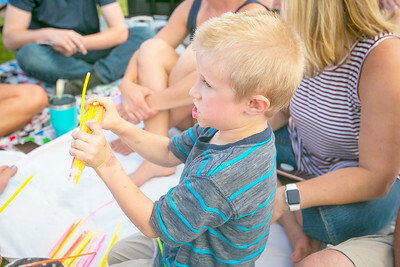 Tyler Molinano, 5, of Woodstock, assists in activating glow sticks before the Woodstock fireworks show at Emricson Park Tuesday, July 4, 2017. 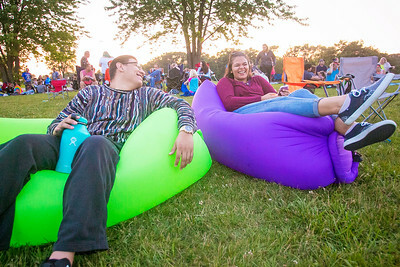 Esequiel Mora, 21, of Des Plaines, and Courtney Blanch, 20, sit on inflatable couches while waiting for the Woodstock fireworks show to begin at Emricson Park Tuesday, July 4, 2017. 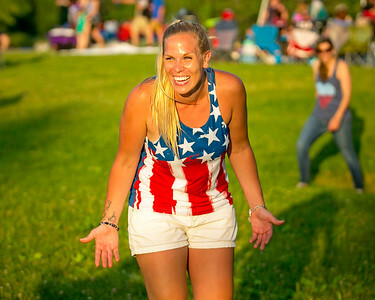 Jen Nichols, of Woodstock, smiles after a round of hitting a volleyball around with friends before the Woodstock fireworks show at Emricson Park Tuesday, July 4, 2017.